Part of our mission as a Unitarian Universalist community is to make the world a better place, focusing on “deeds not creeds.” From protest marches, prayer vigils, volunteering in homeless shelters and in prisons, we put our faith into action. If you currently purchase your electricity from Eversource and are not planning to install solar panels anytime soon, the Social Justice Committee recommends that you visit http://www.energyswitchma.gov to see how you can increase the amount of renewable energy in the Eversource grid. You have many choices with regard to suppliers. 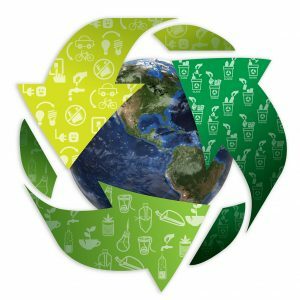 Your options include the type (e.g., wind or solar) and amount of renewable energy they use, the length of your contract (if any) and the per kilowatt hour price you pay. FPC’s Social Justice Committee members and friends were surveyed about their electricity suppliers. The results of the survey may be found at http://www.uudux.org/committees/ under the Social Justice Committee or you can pick up a hard copy outside the church office. If you would like to speak with an FPC SJC member who purchases electricity from a supplier other than Eversource, Mary Flanagan and Donna Savicki are both happy to share their experiences thus far. 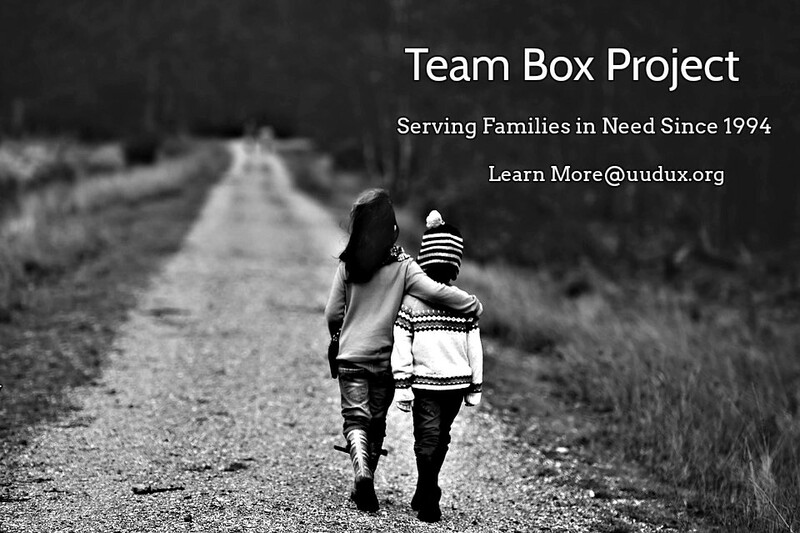 The Box Project provides basic necessities such as food, household supplies, clothing and furniture to needy families on the South Shore. The program is one of the most popular social service opportunities at First Parish Church. Each family served by the program is matched with four First Parish families. The client family fills out a monthly request form, listing their food, household, clothing and furniture needs. First Parish families purchase the items and drop them off at a church member’s home in boxes or bags labeled with a number assigned to the client family. If the requests are large or contain costly items, additional funds are provided by the Social Justice Committee. The items are then delivered by First Parish volunteers. In December, a special church-wide effort results in providing Christmas presents for the dozens of families served by the program. Each month, a list of clothing needs is distributed. Guest at your Table kick off November 20th! First Parish Church has a long tradition of supporting the Unitarian Universalist Service Committee (UUSC). The UUSC has been a powerful voice for human rights and social justice around the world for more than six decades. First Parish Church donates one dollar per member annually out of its operating budget to the UUSC. In addition, many people at First Parish contribute at a membership level or greater to the UUSC, and many others participate in the annual Guest at Your Table (GAYT) fund-raising campaign to benefit the UUSC. Guest at Your Table is a major annual event embraced by many UU congregations as a way for adults and children to learn about and support social justice programs worldwide. Funds collected through GAYT help the UUSC operate its many social and economic justice programs world-wide. Caring cartons, about the size of a school milk carton, are available in the parlor of the Parish House on Sundays through the year-end holiday season. Families take them home and make a contribution at every meal to help someone less fortunate than they. The Table at Father Bill’s and Mainspring of Brockton, MA, is a community lunch program that provides free healthy meals to men, women and children, six days a week. 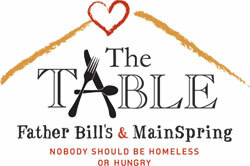 The Table operates out of our MainSpring House emergency shelter in downtown Brockton, with support from dedicated donors and volunteers, and in partnership with Stonehill College’s The Farm, for fresh locally grown produce. Volunteers, staff and guests get to know one another over a hot meal — served with dignity. When available, The Table also provides sandwiches and/or other take-out items. The Table relies on volunteers to prepare and serve lunch. 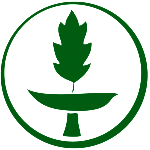 Green Sanctuary is a Unitarian Universalist program that partners with congregations to address climate change and environmental justice. Congregations that complete the program are accredited as Green Sanctuaries in recognition of their service and dedication to the Earth. Our Green Sanctuary Task Force has followed the guidelines set by the UUA, to make our buildings and practices more energy-efficient, support environmentally progressive activities within our community, create events and initiatives to educate the congregation and general public about ways to live in a more environmentally responsible manner. The Green Sanctuary Program provides a path for congregational study, reflection, and action in response to environmental challenges. The Green Sanctuary Program, now in its sixth edition, partners with congregations to address climate change and environmental justice. Congregations that complete the program are accredited as Green Sanctuaries in recognition of their service and dedication to the Earth. 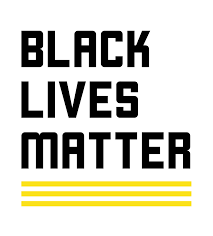 As an act of public witness and to affirm our commitment to racial justice, First Parish Church Duxbury wishes to make this commitment known to the Unitarian Universalist Association and the community overall. What is Share the Plate? Once each month First Parish will give our entire non-pledge collection to a member-nominated non-profit whose mission and values align with those of our church. 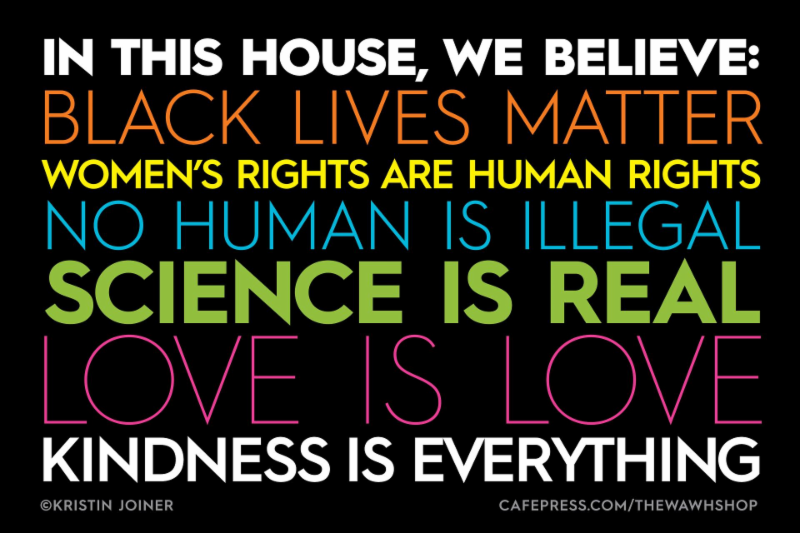 Our Unitarian Universalist principles call for us to work for justice and humanity. By reaching out and giving to the broader community, we are showing who we are and for what we stand. And Sharing the Plate is an important way for FPC to intentionally cultivate a habit of generosity. With whom will we Share the Plate? FPC members may nominate their favorite charities. Recipient organizations will be selected by Social Justice Committee members in consultation with the Minister. To nominate a recipient organization, please print this form Nomination form Share the Plate and return it to the church office.